With all the geo-political problems Turkey has encountered in the last year, it doesn’t surprise me in the least that Turkish Airlines would roll-out yet another brand campaign fronted by a superstar celebrity to attempt to pull in the tourist dollars. Case in point, the latest outing with the all too predictable ‘Widen Your World’ strapline hit media channels recently, featuring an ever so silky voiceover and appearance from veteran actor Morgan Freeman. Turkish Airlines has been on a charm offensive for over a decade now, aggressively marketing their USP as the airline with the most routes flown globally. Typical cliche-ridden references to intrepid travellers exploring the unknown, with ubiquitous shots of pretty landscapes, beaches and mountains are all thrown in for good measure. There’s nothing new here and this could easily be an ad for any one of a dozen airlines. While I have nothing personal against using celebrities for product endorsements, I’m often fascinated by the choice of spokesperson and how the powers that be come to select who’ll be the public face of a multi-million dollar brand advertising campaign. Is it based on popularity? Having some sort of credibility or connection to the product? Or is it simply a case of putting the feelers out there to see who bites? In any case, similar to past examples of using equally bizarre spokespeople including everyone from Kevin Costner, Lionel Messi, and Ben Affleck, I just don’t see how even the supremely talented Mr. Freeman can save this campaign from blending into a long line of obscurity. The verdict? 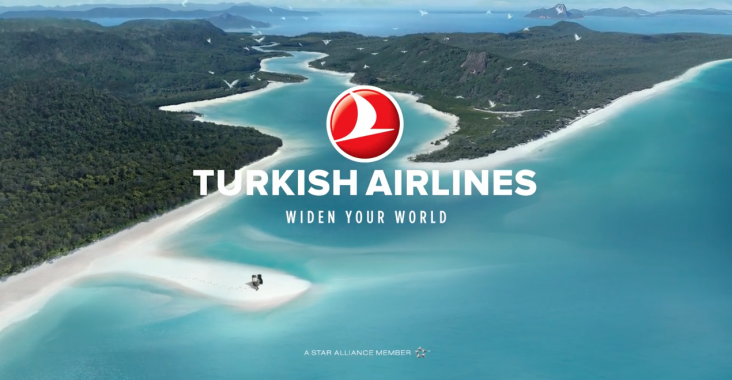 Turkish Airlines should think long and hard about where it wants to pitch itself in the airline positioning stakes, and take a leaf out of Air New Zealand or Etihad’s ad campaign playbook.